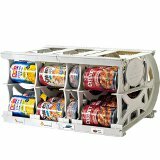 Black Friday is a great time to stock up on food storage and emergency products. You might be building your own supply or giving preparedness items as a gift, either way this weekend is the time to get great deals. The Shelf Reliance Black Friday Sale starts Friday November 25th at 12:00 midnight MST and continues through Monday November 28th. at 12:00 midnight MST. You can place an order on my website at http://homeparties.shelfreliance.com/homeparties or by following the links below. These links should all show the sale pricing until Monday November 28th at midnight. 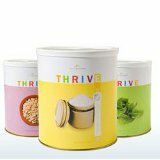 The sale includes 20% off all consultant starter kits, up to 50% off Thrive foods, Huge savings on shelving, emergency kits, and wheat grinders. Becoming a Shelf Reliance Consultant is one of the best decisions I have ever made. If you are hardworking and ready to build an amazing business I would love to have you join my team. Need more info on becoming a Shelf Reliance Consultant? Get Started If you are ready to sign up this is where you need to go. How I Support My Team and other questions. All prices are for #10 Gallon sized Cans, pouches, pantry cans and buckets are also on sale. **If the sale price does not show up add it to you cart and the correct sale price will show up.